These bloody bandaid cookies are not for the faint of heart. 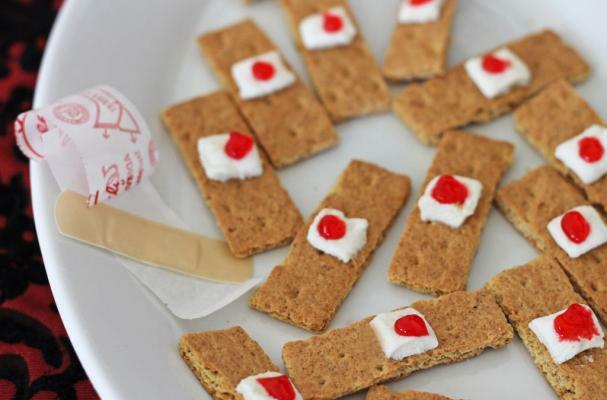 The cookies, made by Scoochmaroo, are disgustingly designed to look like a dirty plaster, with its puffy marshmallow gauze and red dye blood over top a graham cracker. They're the perfect treat to serve up to guests this Halloween with a simple how-to. If you're feeling a bit more adventurous in the kitchen, try out these blood slide suckers.